Just what you need: another bread recipe. Karen, who can do everything else, claims she can’t get bread to rise anywhere in her house, so she relies on this one which does its thing in the cool, quiet confines of the refrigerator. Soften and dissolve yeast in warm water. Add the milk, honey, salt and oil. Add two cups of the flour and beat until smooth. Add another cup, beat until smooth. Add enough additional flour to give an easy-to-handle but not stiff dough. Kneed on floured surface until smooth and elastic (about 10 minutes), cover and allow to rest for 20 minutes. Punch down, cut in half and roll into 8×12 inch rectangles. Starting with the narrow edge, roll like a jelly roll, seal edge and fold under. Place in greased loaf pans, brush top with oil, cover with plastic wrap and refrigerate overnight to two days (when you’re ready, it’s ready). Remove from the cold, let it stand 10 minutes. Prick any surface air bubbles with a greased toothpick and bake in a preheated 400 degree oven until done (about 30-40 minutes). Turn out of pan to cool. 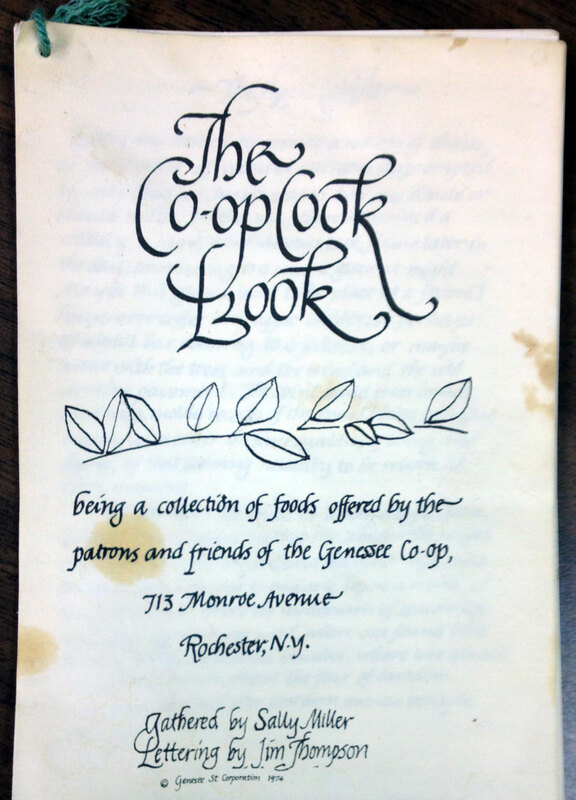 The Co-op Cook Book was originally published in 1974 by the Genesee Street Corporation. 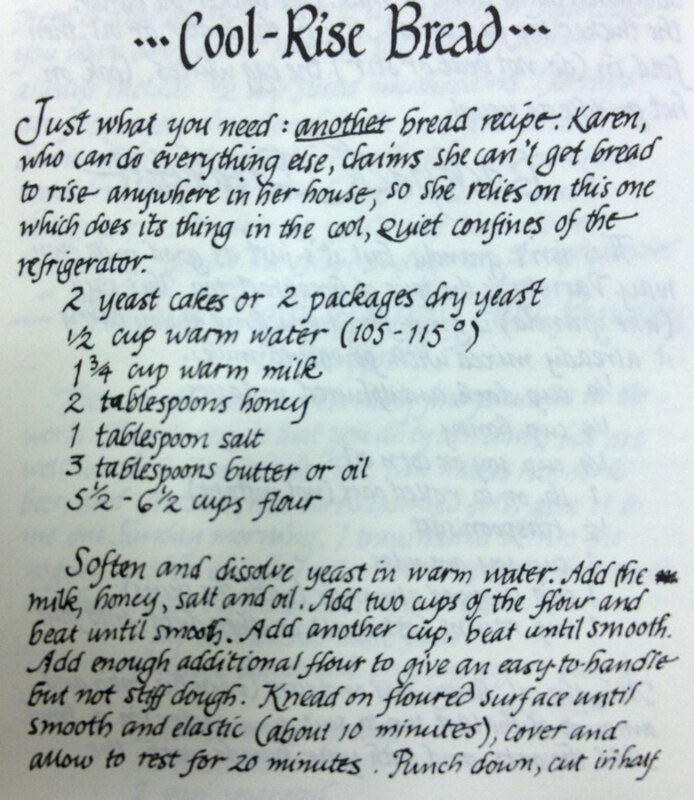 The recipes were gathered by Sally Miller and the lettering was done by Jim Thompson. We’re so happy to share this rich piece of our history as Rochester’s food co-op.